Winter storm warning extended to 10 p.m. The National Weather Service has extended the winter storm warning for Sunday, April 15, to 10 p.m. 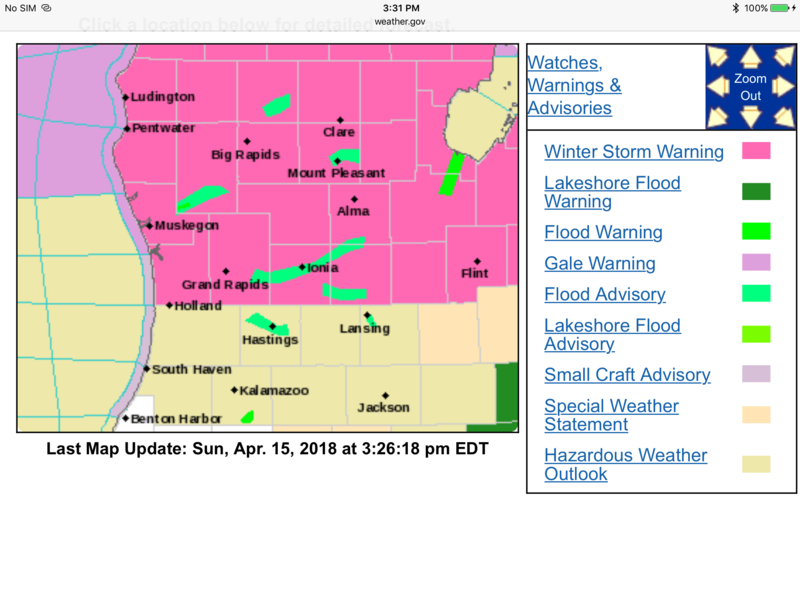 The warning includes Oceana, Mason, Muskegon, Lake, Newaygo, Osceola, Clare, Mecosta, Isabella, Montcalm and Gratiot counties. “Plan on difficult travel conditions. Tree branches could fall. Expect significant reductions in visibility at times,” states NWS. The warning has now been extended twice. It was initially scheduled to end at noon, and then NWS extended it to 5 p.m. Now it remains in effect until 10 p.m.